Deceased Alisa Callahan thinks nothing could be worse than watching the boy she loves move on in his life without her... until she is ripped from her less-than-peaceful existence in Elysium to be trapped... in someone's else's body. Seventeen-year-old Claire Balister wants only one thing. To master the art of Elementalism. To accomplish this, she must learn to control a damned soul. Her old classmate and suicide victim, Alisa Callahan, is the perfect candidate. But when the spell goes wrong, Claire finds herself in the worst possible situation... sharing her body with an unwanted guest. Everything swirls out of control when Alisa learns the terrifying truth about her entrapment. Her only hope rests with a boy who can't remember her, his past, or more importantly, who he really is... One of the bad guys. 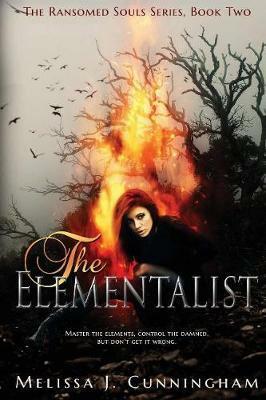 The Elementalist is the much-anticipated sequel to Reluctant Guardian.